RATE IT! Who Isn't in Vogue? RATE IT! Barbie as... Joan Jett? RATE IT! Posh Looks... Well, Posh! As a blogger and writer, my heart launches into a happy dance when I hear about talented people like Neil Pasricha. You may not know Neil by name but chances are you may have already discovered his wonderfully entertaining blog, 1000 Awesome Things. It would be the easy way out to just quote Neil's work and exclaim that his site is well... AWESOME but it's much, much more than that. 1000 Awesome Things is chock full of those happy little memories that put a smile on your face. It could be a snow day, laughing so hard you make no sounds whatsoever, leftover cake in the office kitchen... all the little moments and experiences that make life sweeter. Neil's been busy posting a new awesome thing on his website every day for the past few years now and along the way, his journey through all the delectable gems in life has garnered a ton of attention -- all of which brought about a book deal for Neil. 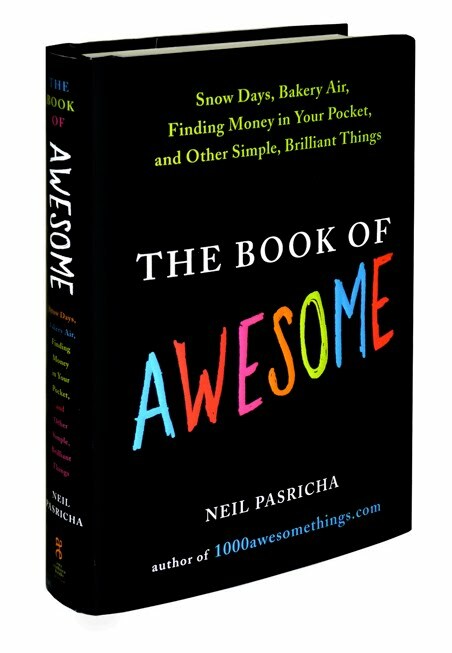 This past week his excellent first publication landed in bookstores and Amazon: The Book of Awesome. 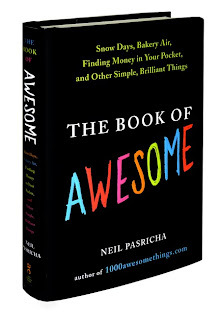 Seriously....if you only purchase one book this year, The Book of Awesome is the one to get. Neil's worked so hard on it, and it's just the best to see a nice guy (and a local one at that!) get the attention and kudos that he so richly deserves! High ten, Neil! The Book of Awesome can be purchased at a variety of places -- just click here and find the blue-hued links to the book seller of your choice. As for me, I've already purchased a copy as a birthday gift for a special friend -- and that's awesome!